GoLean Crisp Coupon + What to do with it! I love Kashi cereal! I have a hard time keeping up the cereal stock at my house. In fact my husband out of desperation spent $2.99 on a single box of cereal!! Sin against nature. 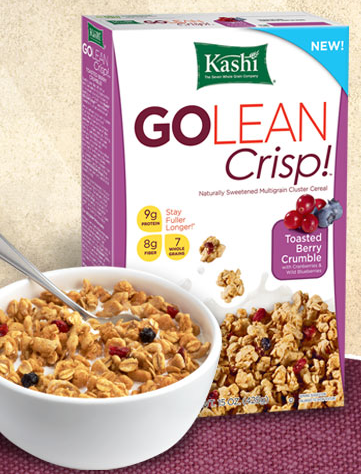 lol Go here to get $1/1 GoLean Crisp Kashi Cereal. I could print it more than twice, just use the back button. AND you'll get a $1 +UP Reward on your receipt!! LOL I hate Kashi! I don't even get it if it is free!